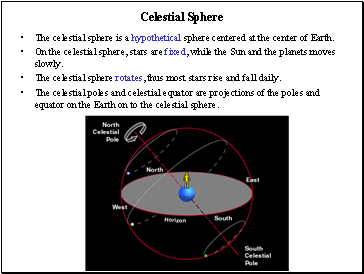 The celestial sphere is a hypothetical sphere centered at the center of Earth. 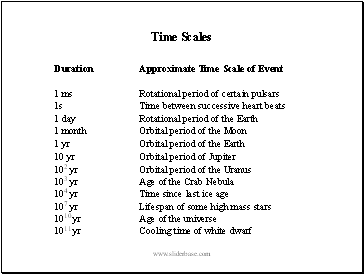 On the celestial sphere, stars are fixed, while the Sun and the planets moves slowly. The celestial sphere rotates, thus most stars rise and fall daily. The celestial poles and celestial equator are projections of the poles and equator on the Earth on to the celestial sphere. 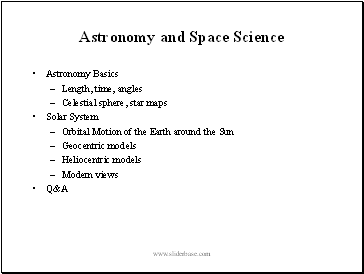 How does the coordinate systems on the Celestial sphere look like? 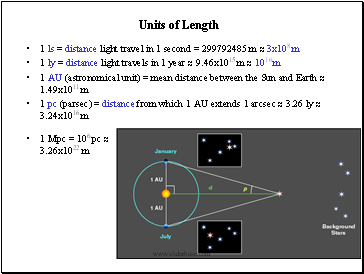 Where exactly is the center of the celestial sphere? I heard that the definition of the ecliptic plane has been changed, is it? 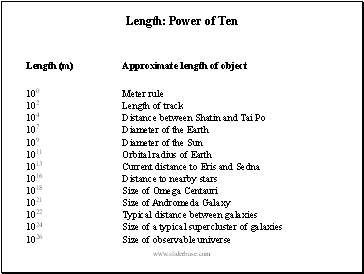 What’s the relation between solar motion and the calendar? How was the Sun/Earth orbit modeled by Greek astronomers? What is the cause for precession of the equinoxes? What is a day anyway? Can you give some example of planetary events? What is Aristotle’s model of the universe? What does Ptolemy’s geocentric model look like? 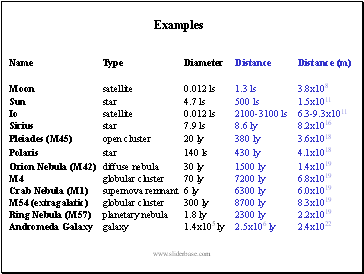 Ptolemy model looks quite different from Kepler’s, why did it work so well? How to transform between geocentric and heliocentric models? 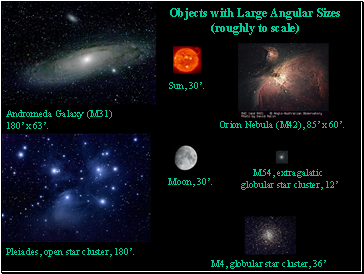 One arcmin is about the size of a HK$1 coin in 88 m away, how did Tycho Brahe achieve this accuracy without telescopes? Did Galileo really invented the telescope? Does the discovery of phase of Venus disproves the geocentric theory? 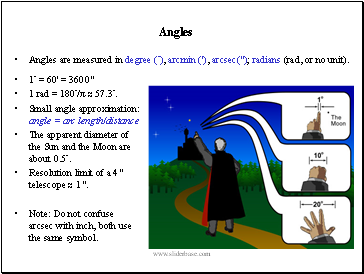 After the invention of telescope, how was position/angle measured? We’ve been focusing on the development of the West, what about the work of Chinese? Was Copernicus the first to think the Earth moves around the Sun? 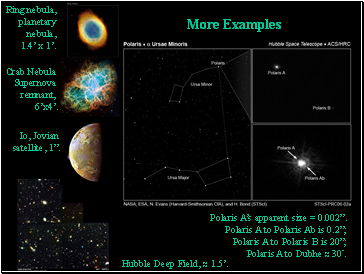 Did Copernicus model have epicycles? What are the true advantages of the heliocentric model? What is the role of human/Earth in cosmology? Can you suggest some equipments for schools? Can you give us some references? Are there any useful classroom teaching kits available?